Maria Antonieta Hein is devoted to her concern for her philosophy for the higher power in our Universe and appropriate engagement of the attunement of one to ones souls wisdom and higher source. To be a catalyst for the renewal of the collective consciousness to intelligently promote an awareness of the unusual climatic and environmental concerns as a sign of the times. To have us considering the God Sources deliverance to each and every soul on the earth plane to enforce an understanding of our souls wisdom, the God Sources intelligences and the God Source. To promote humanities good nature and reform to an outermost assurance of the new world order to have been the concern of the contemporary scientific anamalies. To have us wondering as to the nature of the higher power and our enlargment as appropriate designators of an outermost concern for the assurance of an alternate demand for a new world conviction. To have been Maria's concern for the assertion of a new referral to the God Sources power. To invite us to wonder as to the appropriate concern for our innermost challenge and awareness of our worlds displacement of its concern for the joy of the meaningfulness of our stories concern for the higher power in our inward adjustment and causal concern for our stories immediate deportment to a new concern for humanities adjournment of its common suffering. Maria Antonieta Hein is a graduate of a Bachelor of Arts degree in Psyhcology and Adminstration with a special interest in psycho - social and behavioural challenges with a concern for the external forces causing societal stressors. assertiveness training, confidence building, coordination of day care services and offered translation services in support of immigrant families in the social services field. As a youth Maria trained as a classical ballet dancer and singer of Mexican folklore and won several endorsements for the promotion of a French line of perfumes and subsequently was the owner of an Optical business and later was successful as an international import and export specialist for cables for telecommunications. 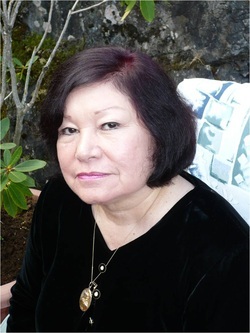 Maria originates from Mexico and is now a Canadian citizen residing with her husband and children in British Columbia and has many interests in the forces of nature and metaphysical constructs of the universe. The God Sources Humanity as the higher power in our Universe and appropriate engagement of one to one souls wisdom and higher source as though Maria were a catalyst for the renewal of the collective consciousness to intelligently promote an awareness to the unusual climatic and environmental concerns as a sign of the times to promote humanities reform to its good nature and the God Sources humanity.